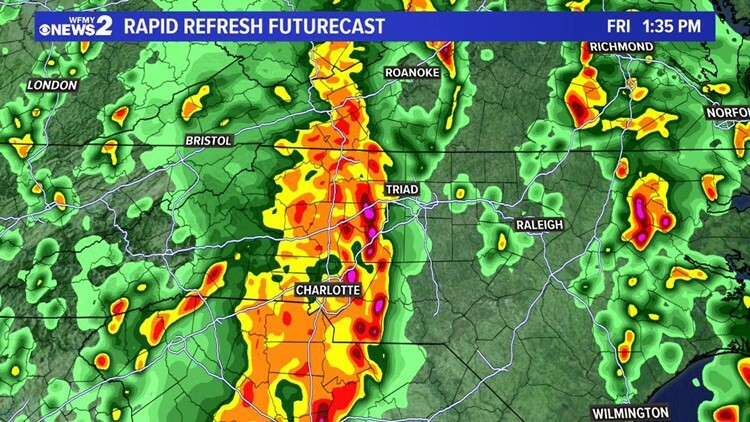 Damaging wind gusts, flash flooding and a few tornadoes possible. Now is the time to make sure that you and your family have a severe weather plan in place. 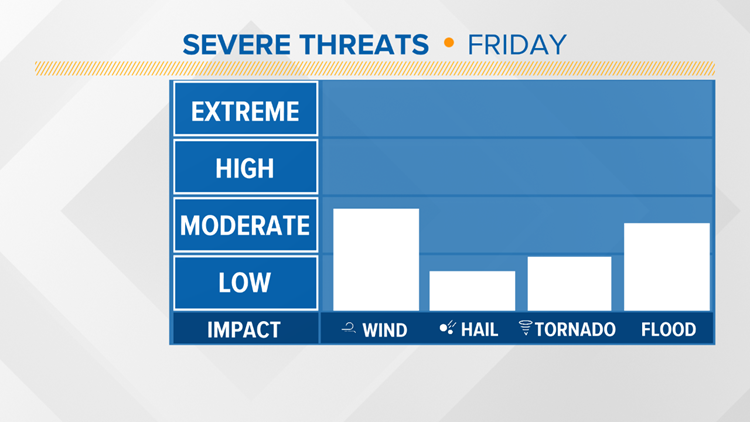 We're still several days out, but it's looking more likely that a powerful storm system will bring us a chance for strong to severe storms Friday. Now is the time to make sure that you and your family have a severe weather plan in place before the storms arrive. If we're lucky the system won't be as strong as advertised, but it's best to be prepared just in case. The Storm Prediction Center has most of our area under an Enhanced Risk, which is a level 3 out of 5 on the scale. 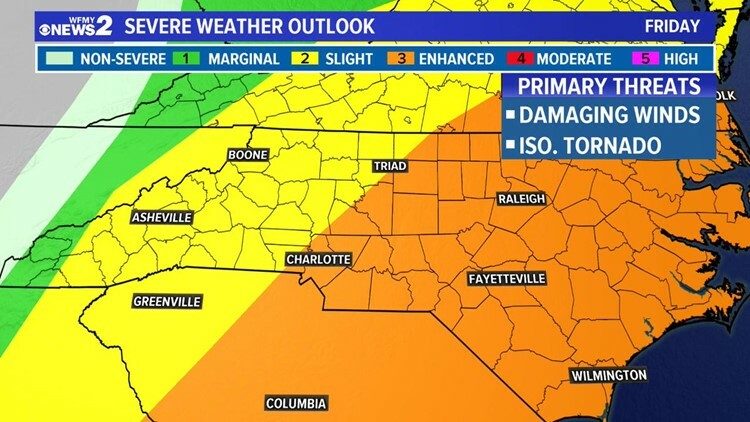 Western North Carolina in currently under a slight risk for severe weather Friday. Here's a look at our current thinking, but check back regularly as we'll adjust our forecast periodically as we get closer to Friday. As it stands today, the main threats from any storm that becomes strong to severe will be damaging straight line winds & localized flooding. That said, a few tornadoes can't be ruled out as well. The timing of the storms will be key to the risk of severe storms. If the system arrives early in the morning, our risk will be lower, if it arrives in the afternoon during the warmest time of the day, our risk will be higher. Right now it looks like the window for severe storms will be from midday through early afternoon. Roughly from 12pm to 8pm. We'll keep you updated on the threat Friday both on air and online as necessary about this developing severe weather threat.